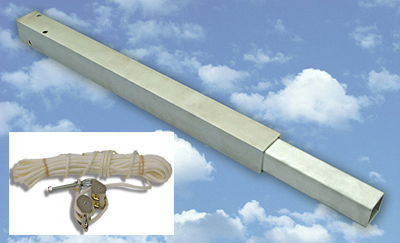 Increase the height of any two-inch x 12-14 foot square pole by two feet, with this simple to add-on extension. This Extension Piece is inserted at the top of the pole. You will need to take the pole down in order to add the extension, we advise you do this before the martins return. Height of pole should not exceed 16'. Taller poles need 55' of rope.